There are folks in recovery that don’t relate to the concept of binge drinking or using, much the way I admire but can’t relate to those who have a nasty experience and NEVER drink again. 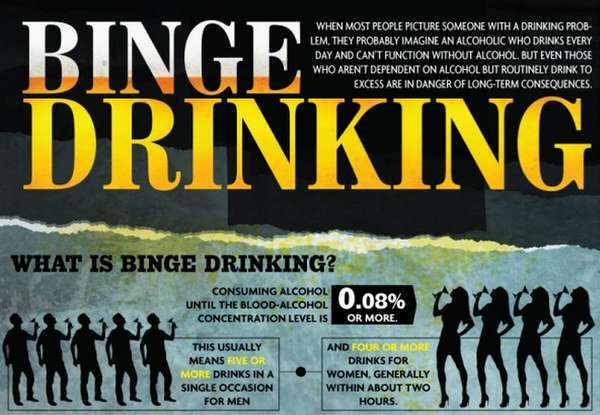 For me, binge drinking adds another layer of complexity that is hard to fully explain unless you deal with this issue. Some famous people have “isolated” events that defy their role model status: Sir Anthony Hopkins, Michael Phelps, Tiger Woods, um Lindsey Lohan? 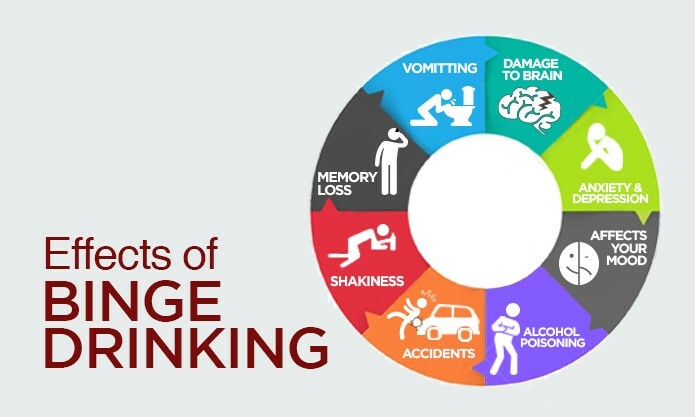 Binge Drinking—SAMHSA defines binge drinking as drinking 5 or more alcoholic drinks on the same occasion on at least 1 day in the past 30 days compared to Heavy Drinking—SAMHSA defines heavy drinking as drinking 5 or more drinks on the same occasion on each of 5 or more days in the past 30 days. I was GREAT at discipline and controlled drinking. I could go days and weeks at a time given a sparklng of motivation. Someone tell ME I have a drinking problem? I’ll show them, no drinking this week. BET me a dollar that I can NOT drink at the party? Your on. NOT drinking at all was not really a problem. Moderation, temperance, just one or two? NO WAY. I remember arguing with people who swore that I did not have a problem with alcohol. HUH? Most bingers are amazing people in life: disciplined, successful, educated, out going, great family etc. They can go days, weeks even months without using… but when they do…. rut roh!!! Dynamite, grenades even canned gasoline is not dangerous unless it is ignited. THAT analogy works for ME. A loaded handgun is ok, as long as the safety is on, or one doesn’t pull the trigger. 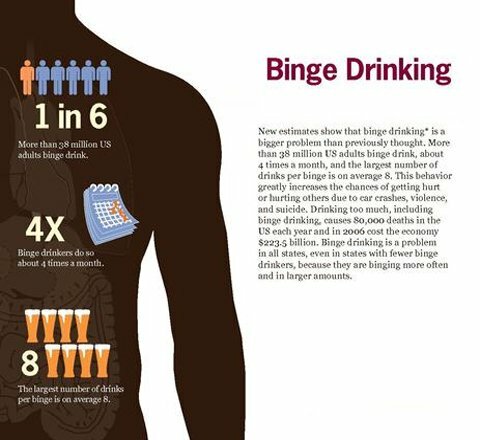 Binge drinking, using whatever.. really is up to each of us to determine if and when this is a problem that needs to be addressed through a recovery program. Harder still is to decide when one actually stops .. at the end of the NEXT binge, or after some self honesty and contemplation or dealing with consequences of last binge… your call. Triggers: these can be people, places, things, smells that cause one to want to drink. I also have to be mindful of “Hallmark events”like weddings, parties, job events that can be a cause of stress, happiness or anxiety. It helps to keep a log of what triggers you and be prepared to avoid or prevent lapses. DISARM: (Destructive Images & Self-talk Awareness & Refusal Method) Tell that urge to GET LOST! Some people find it helpful to name that inner voice (mine are my “Brain Critters – angel and demon) and “talking” back to it really helps! It takes the power away from the one way chatter.. Tell that voice to shut up and f*ck off! Abstinence Violation Effect: broken promises to ourselves and loved ones lead to self loathing and deeper lapses. We beat ourselves up over that first drink, and turn that into a trip down the rabbit hole. A lapse may lead to uncontrolled use. wikiHow to Stop Binge Drinking This article has been viewed over 500,00 times and expert reviewed! SAMHSA: Substance Use Disorders – The Substance Abuse and Mental Health Services Administration (SAMHSA) is the agency within the U.S. Department of Health and Human Services that leads public health efforts to advance the behavioral health of the nation. SAMHSA’s mission is to reduce the impact of substance abuse and mental illness on America’s communities.